Spotted! 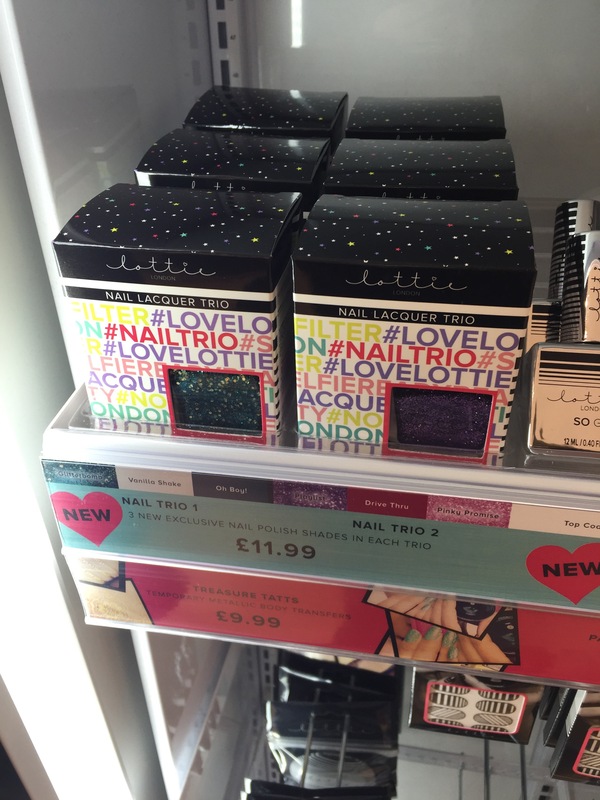 New items in the Lottie stands. 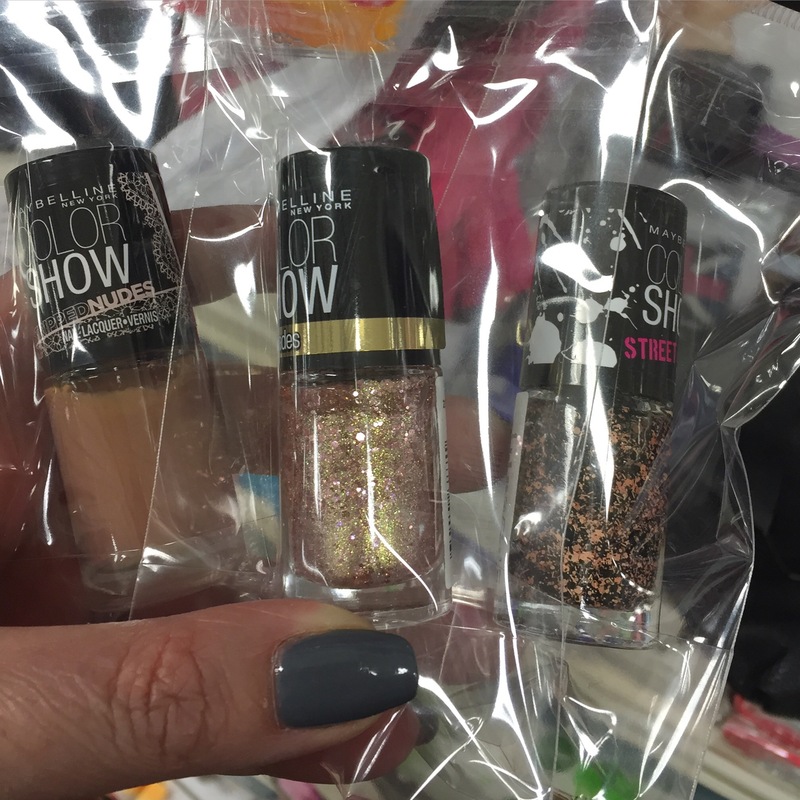 And then Nail trios, so three polishes in one pack. 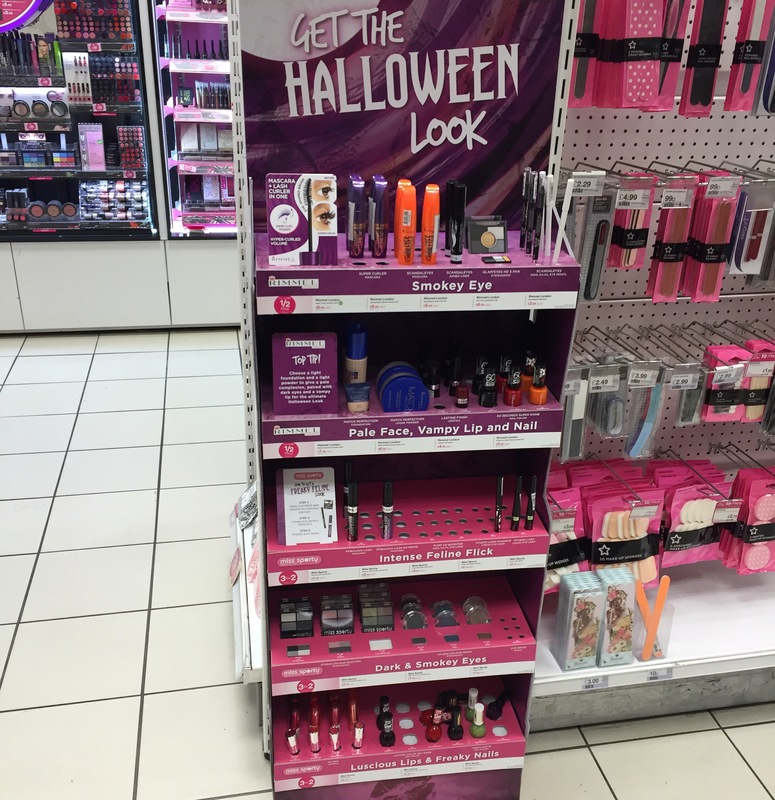 Do you have one of these stands in your local Superdrug? I’ve only seen a few so not sure if there are going to be more or not. PUBLIC SERVICE ANNOUNCEMENT! 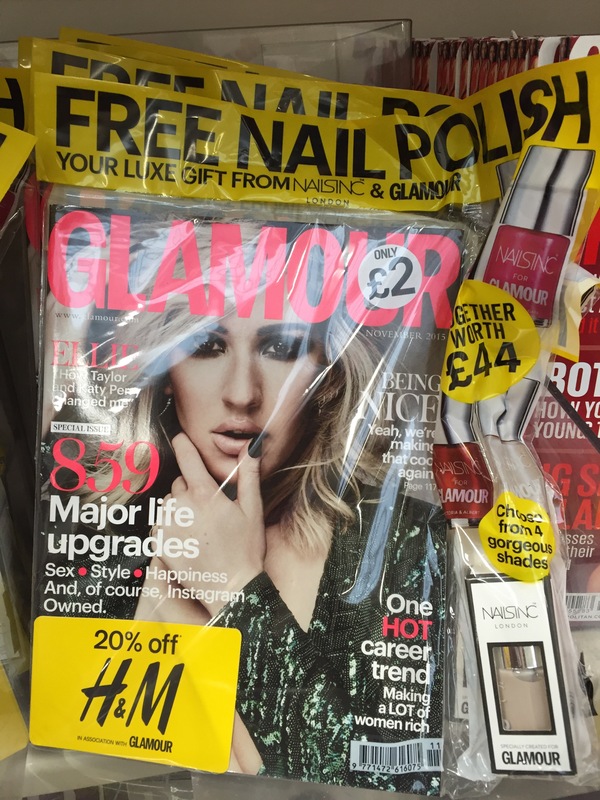 More free nail polishes are now available if you purchase either Glamour or Elle November 2015 UK editions. 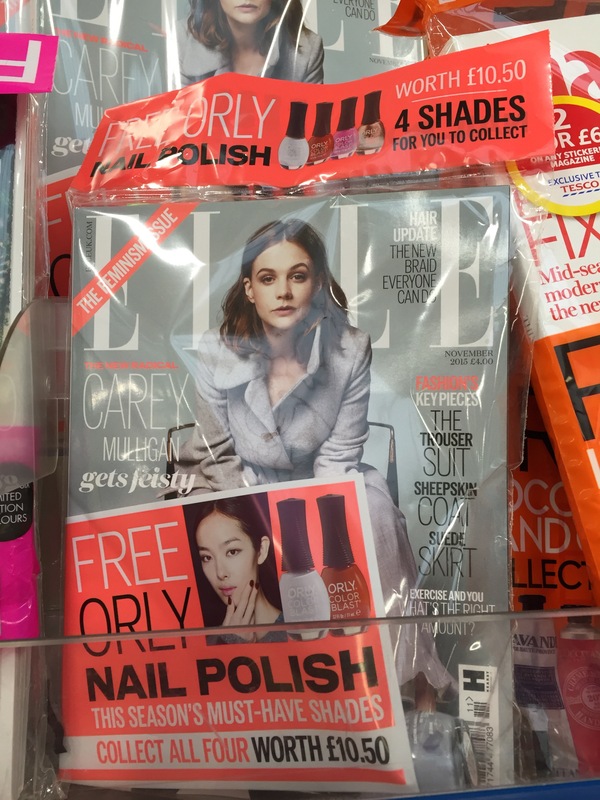 In Glamour there is a choice of Nails Inc Shades and in Elle there is a choice of Orly shades. I’ve just noticed that one of those Orly ones looks like a duochrome, must of missed that! Will have to go back and look as I only saw gray ones. 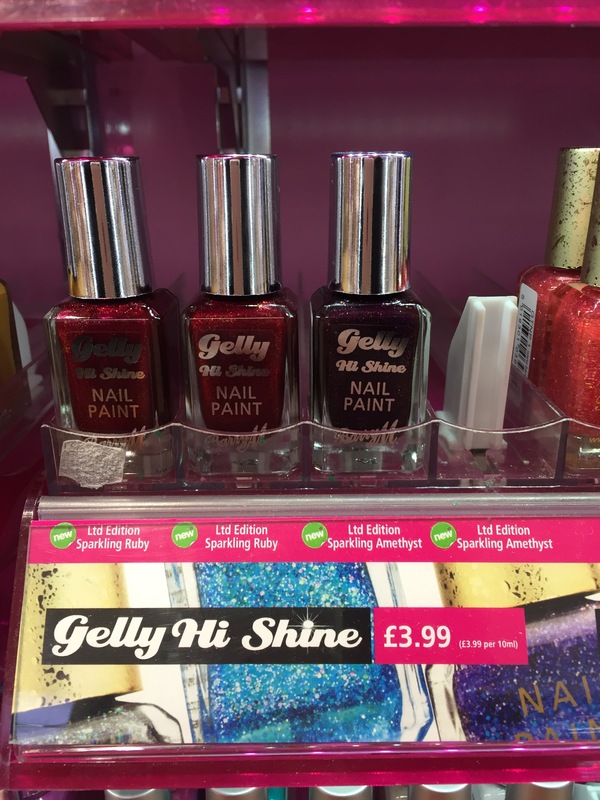 Quick spot for you here – new GLITTER Barry M gelly nail polishes! Limited edition – so run run run! 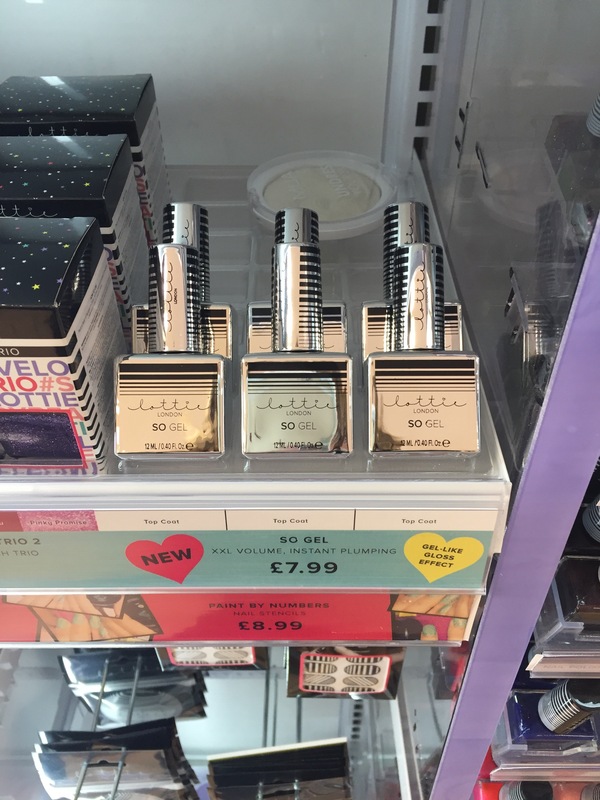 Superdrug exclusive! Have you seen these yet? Will you be picking these up? I’ve got lots of polishes to share with you that I picked up from the US. I’ve got a few posts to catch up, so I’m not going to write reams and ream of words for you to plough through! I really liked this yellow/red/pink combo, although my hubby said it was quite gross and he didn’t like it at all. This is one coat of the Sinful Colors over a yellow creme. It was the splodge and spread technique to spread the glitter out over the nail. it bubbled a bit too as it dried, probably because I put a bit much on the nail. But you can only see this if you were up close and personal to my fingers! As I mentioned above, I picked this up in the US earlier this year – so it may or may not be still knocking about in stores. There are a few places selling them on eBay so if you like the look of this – or indeed have ideas for a better colour combination that you want to try out! Da-TAH! 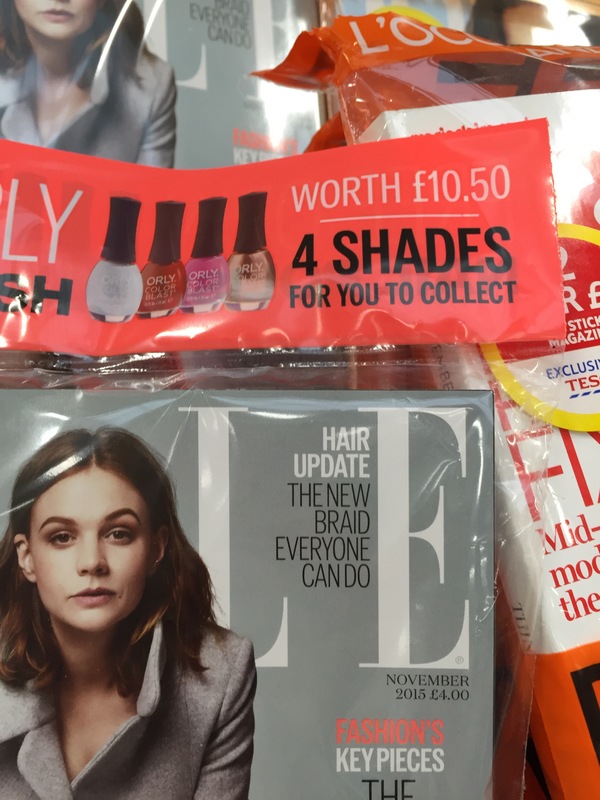 Its Nella time again – this time, its a perfectly autumnal shade called Chestnut Road. Lets look at some pictures…..
Wow, what a colour, its just stunning. The shade just screams autumn. Formula is good, this is two coats over a base of Nailtiques 2 and topped of with Essie Gel-Setter top coat. It wore like iron. Seriously impressed. On the website you can search by collection, there are eight sets and one set of top and base coat www.nellamilano.com. You can also visit the brand on Twitter, Instagram, Pinterest or Facebook to keep up to date with releases and current shades. The price point is £8.95. But this week, Chestnut Road should be on offer for £4.95, so if you like the look of this, this is the week to take the plunge and buy! What are you favourite autumnal shades? Let me know in the comments. Exciting news! 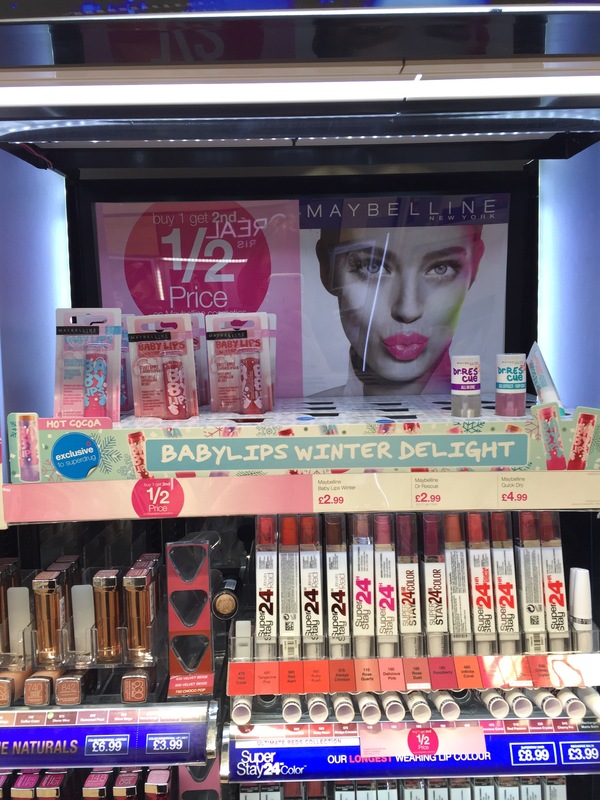 I know a lot of you out there LOVE Maybelline Baby Lips. And seems we are getting some new flavours. 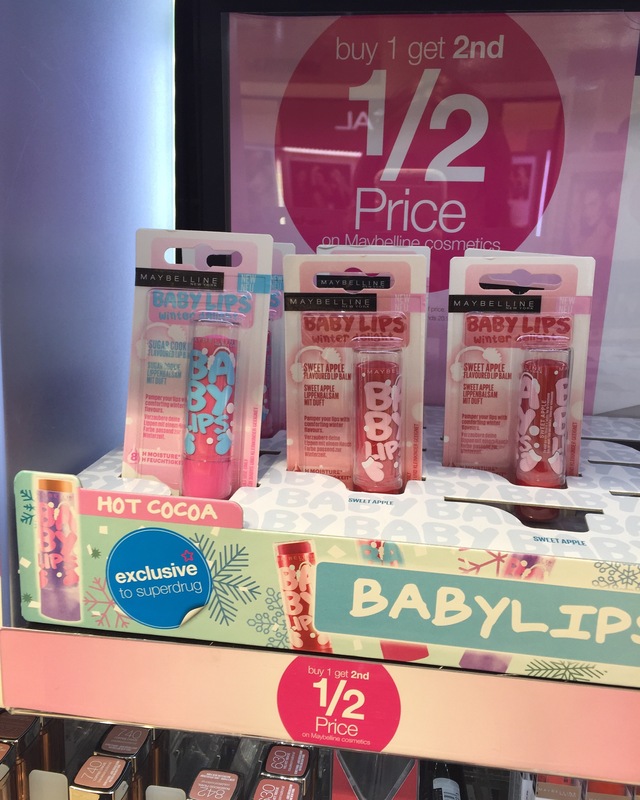 Hot Cocoa is a Superdrug exclusive – although its not seen here yet. Sugar Cookie and Sweet Apple are already available. 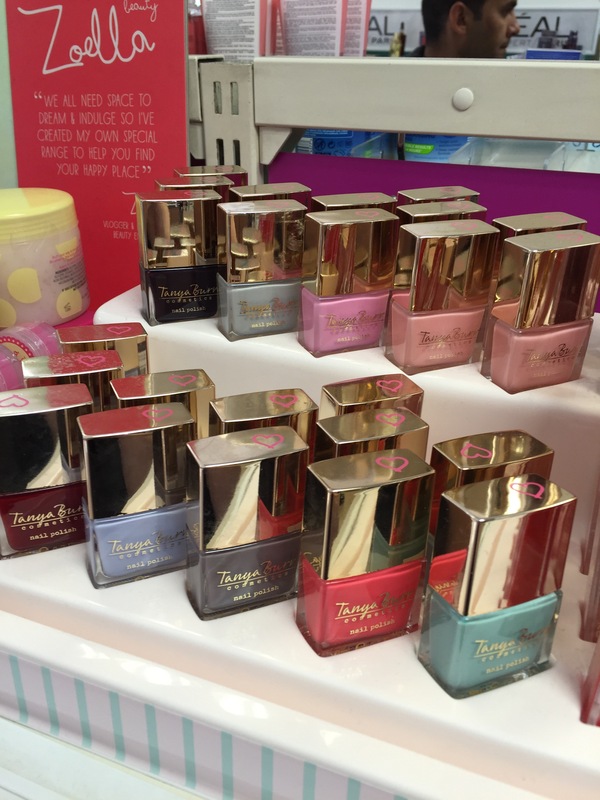 The stand is nicely paired up with the Dr Rescue nail care range. Good fro winter nail care. Are you a Baby Lips fan? Let me know what you think in the comments. Love the little detail on the bottle cap! Let me know what you think in the comments. 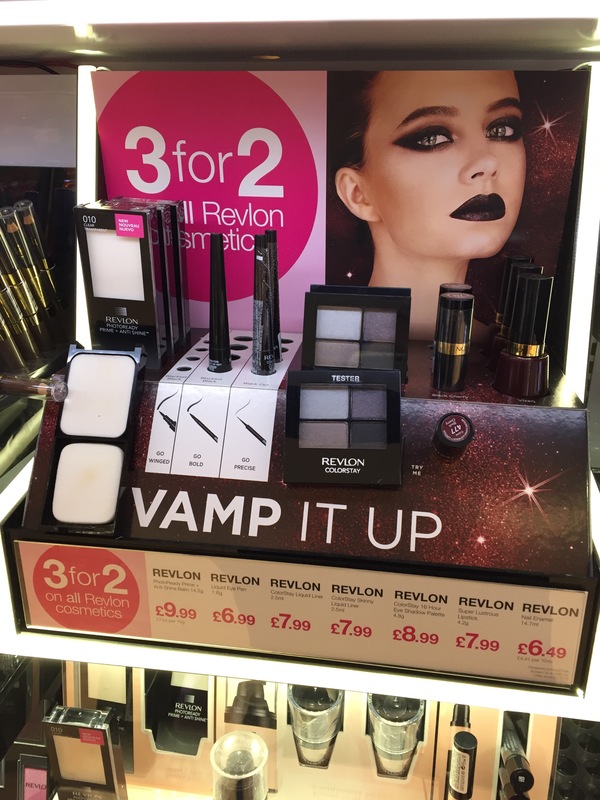 A few new stands have been creeping out into the stores – first up, new stands with suggested Halloween make up in them. 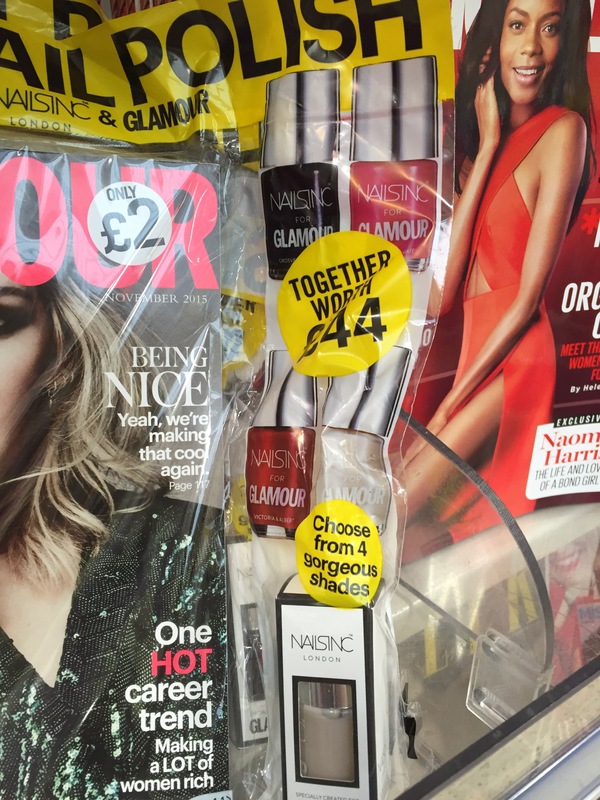 First up, this joint stand between Rimmel London and Miss Sporty. And then this stand for Barry M, Revolution and other brands. 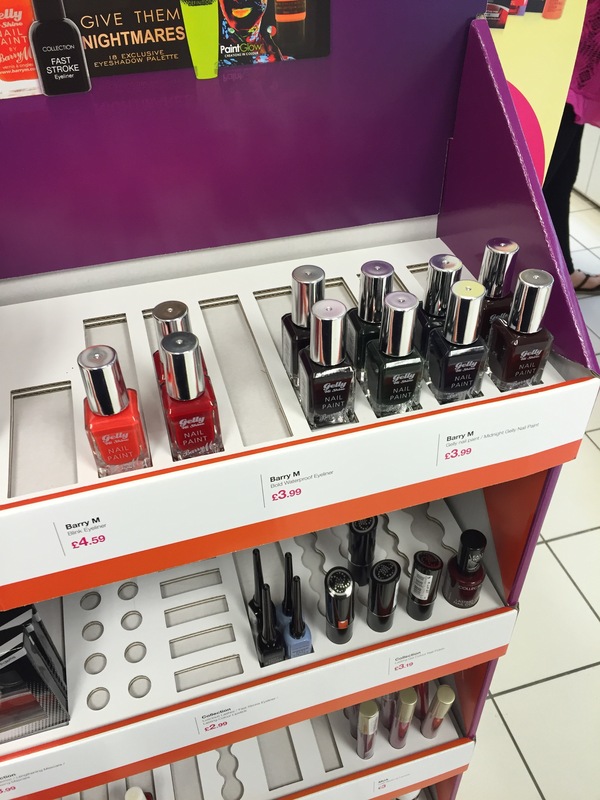 Those look to me like the new winter Barry M Gelly shades. It must be the slightly cooler weather here (who am I kidding, its been cold here for months and we have had no discernible summer!) but I find myself turning to slightly darker, more autumnal shades. And I’m loving it, I’ve been puling out some older ones, pushing those pesky glitters to the back of the drawer in my hunt for darker, richer colours. This one ticked all those boxes – so lets look at some pictures! This is one seriously dark polish – wow! I picked this up in the US in a Walgreens, I found it stuck behind the back of the display and I knew it was coming home with me! This is two coats, over a base of Nailtiques 2 and topped with Nails Inc Kensington Top Coat. Two coats provides excellent coverage and the polish dried quite quickly and levels well. What was also nice, is that removal didn’t result in my cuticles being stained or my fingers going blue. Huge bonus points here! Let me know what you think in the comments . Have you started the transition to more autumnal shades? Let me know what you’ve been wearing on your fingers! Spotted! 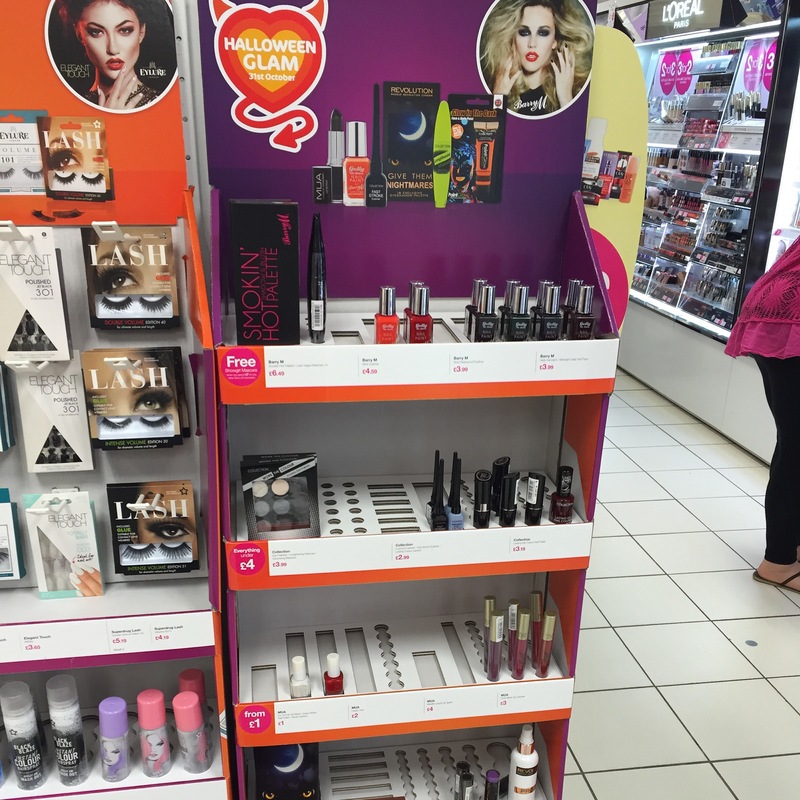 Maybelline Color Show Limited Editions now in Poundland! I was in my local Poundland, just doing a sweep to see what was popping up on the shelves, and I saw these little beauties! Look! The three above are from the Stripped Nudes collection, the Brocades collection and the Street Artist collection. I also saw some polishes from both the Neon Collection, the Vintage Leather collection and the Bleached Neon collections. Not a full set either way and from what I can tell, these are European Editions, not US ones (where these collections in particular where larger, so more in the bleached neon collection), so none of those more elusive shades to be seen! 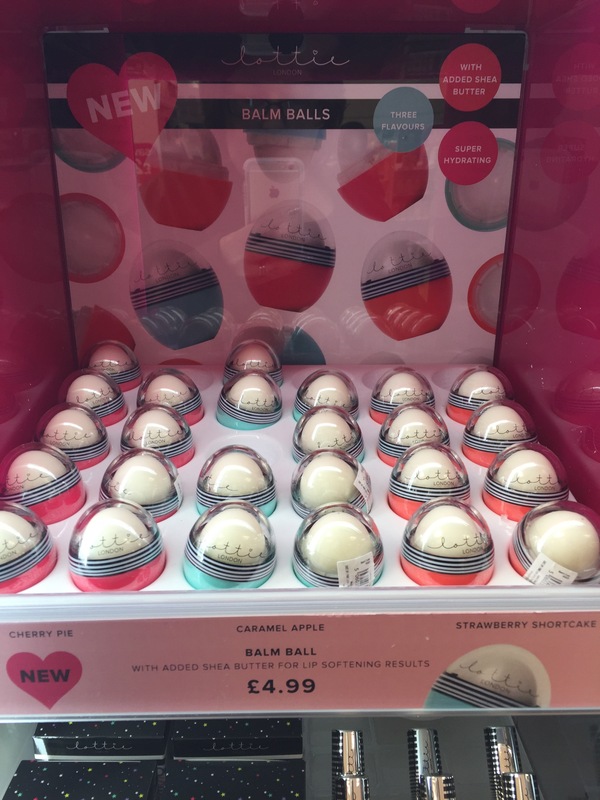 Have you seen these in your local pound store? Did you pick any up?